Tilley Park Farm is no stranger to seeking out niche opportunities to add value to its farm produce. Ten years ago, the Shropshire farm converted to organic milk production as it sought new markets to gain a better return on its milk. And since then, it has never looked back. The 200-cow, 460-acre farm prides itself on taking a premium approach to business, and the higher milk price it now enjoys through Arla Foods has helped the family farm to continue to grow. 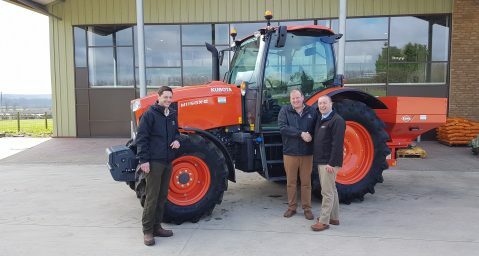 That same ethos has been applied to its latest tractor purchase, as a Kubota M7151 Premium has joined the fleet. Barry explains that both he and Sam liked the short wheelbase for its manoeuvrability around the yard and buildings, while the front linkage made it easy to add or remove ballast to suit field work or heavy draft applications. Tilley Park Farm’s M7151 arrived in May 2017 and has since clocked up more than 550 hours. 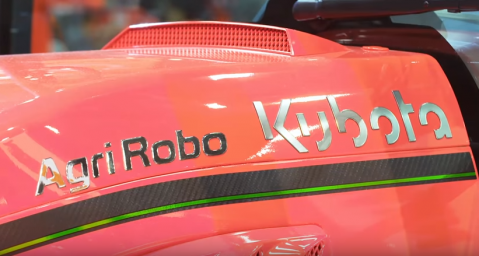 Performance has been impeccable and the fuel use from its EU Stage IV emissions compliant V6108 engine is better than their previous tractor experience. Sam adds that the cab is light and offers great all-round visibility. And the 24-speed powershift transmission with its auto-shifting function, makes trailer work an easy task. He adds that the seven inch tractor terminal is easy to use and the joystick, with its transmission and hydraulic functions, is really convenient. Sam’s tall frame meant that the seat base was moved back 100mm, which makes the pickup latch position less convenient for him. “As it has turned out, we’ve saved over £10,000 on an equivalent machine and gained a five-year, 3,000-hour warranty in the process,” he says. 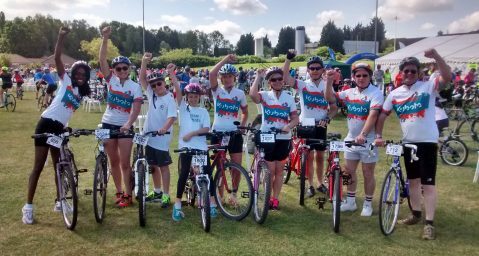 A team of volunteers from tractor, groundcare and construction machinery specialists Kubota UK are raising the bar in a bid to pick up the coveted Mix96 Tour de Vale trophy.